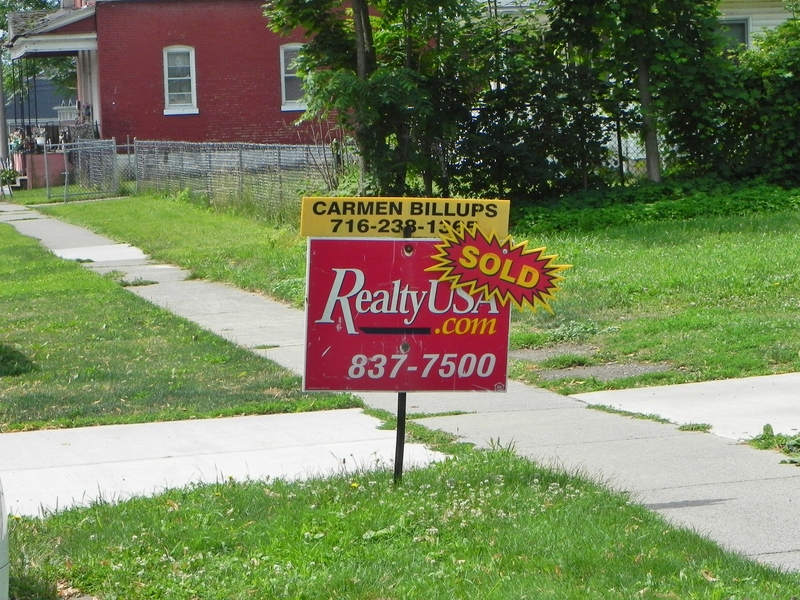 Memo to the Buffalo News Editor: Fruit Belt Residents First, Period! 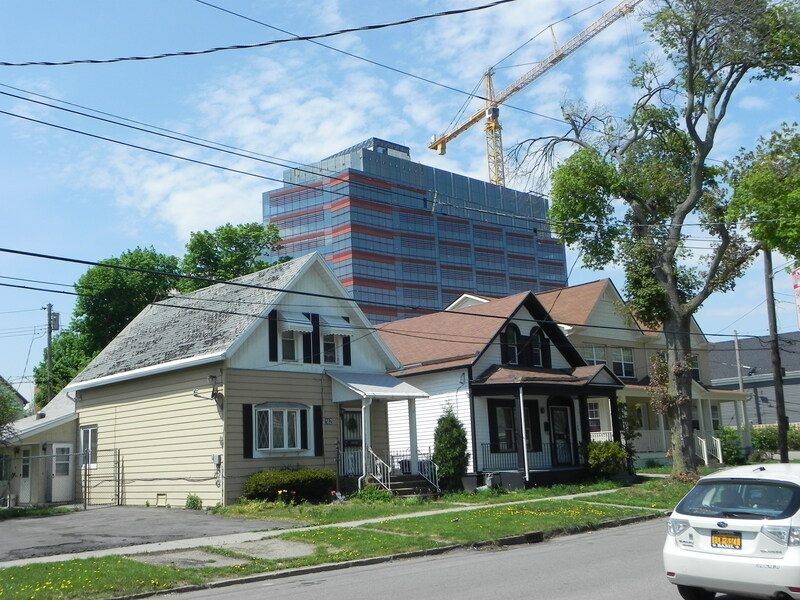 But alongside a prior opinion piece published by the Buffalo News editorial staff in July 2014, and the persistent failure of Western New York’s business and political leaders to plan a medical campus that would not result in gentrification of the historic neighborhood that adjoins the eastern border of the Buffalo Niagara Medical Campus, the editorial is both cynical and hypocritical. 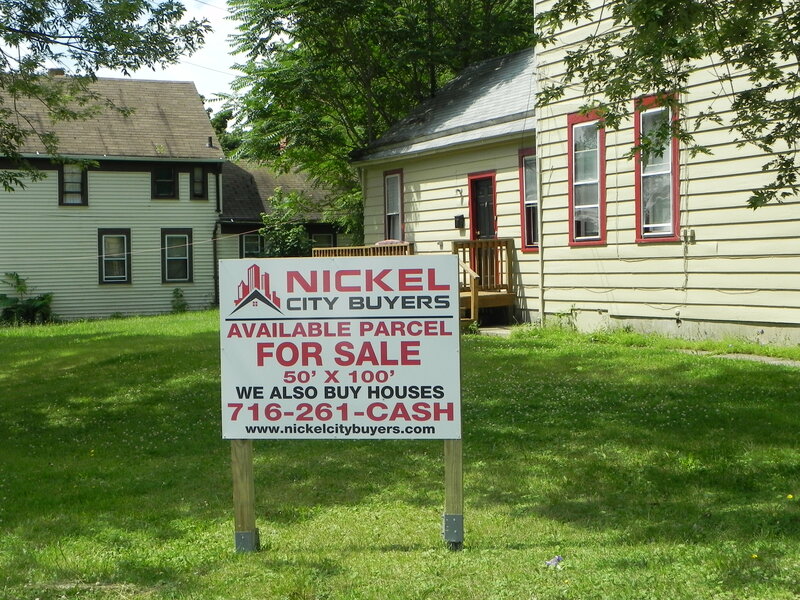 … The so-called “people without means” who may find themselves displaced by the gentrification process are the nearly 2,000 residents of the historic “Fruit Belt” neighborhood – thirty-six (36) blocks of mostly quiet residential streets located directly east of the Buffalo Niagara Medical Campus [BNMC], extending roughly from High Street on the north, Jefferson Ave. to the east, the Kensington Expressway to the south, and Michigan Ave. on its western edge. 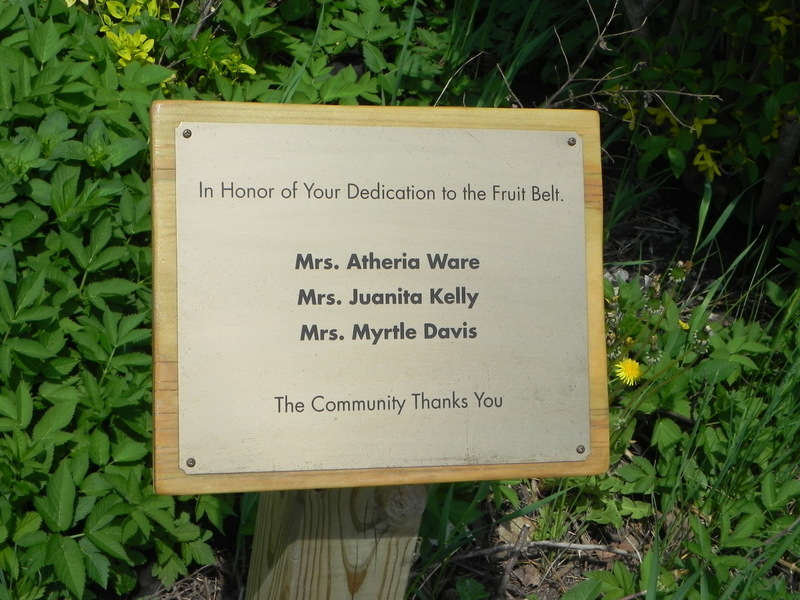 As is also addressed in last year’s posting, the State Environmental Quality Review Act (SEQRA) placed an affirmative obligation on City of Buffalo, New York State agencies, and the institutions comprising the BNMC, to put into place effective and enforceable safeguards and mitigation measures to preserve the character of the Fruit Belt neighborhood and prevent displacement of local residents and businesses. Regretfully, neither the letter, nor the spirit, of SEQRA has been complied with. 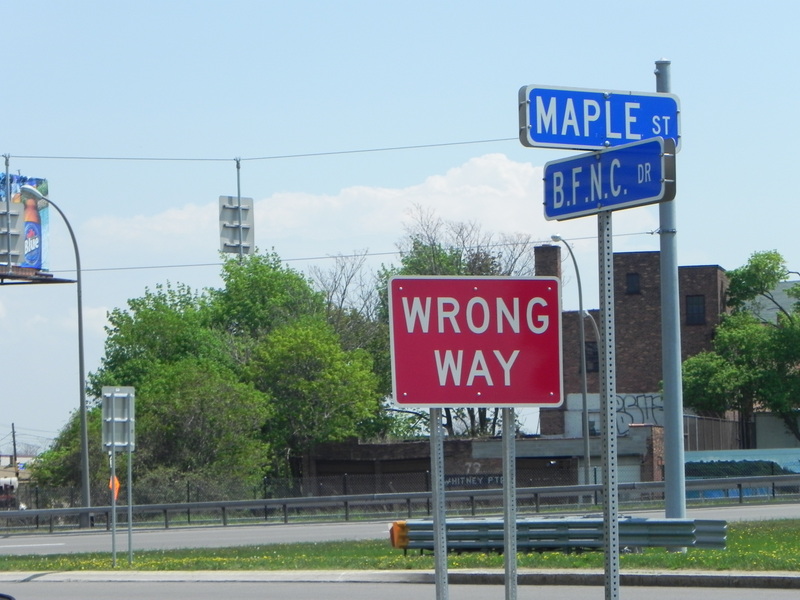 The past failure of Buffalo’s political and business leaders, including the Buffalo News, to demand compliance with the dictates of both the law and common decency underscores the hypocrisy in today’s editorial. 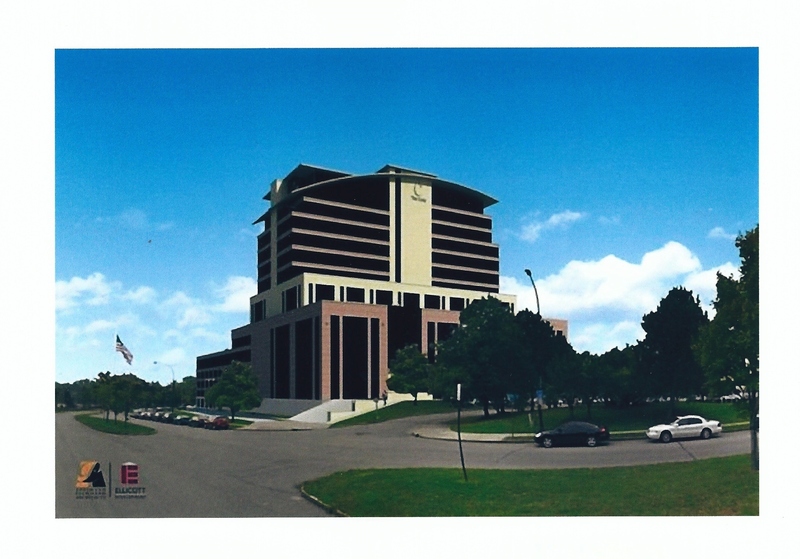 While the newspaper’s opinion piece characterizes the parking problem presently experienced by Fruit Belt residents as “a problem of success”, it is, in fact, a problem of neglect and poor planning – of a decade or more of intentional or reckless disregard for the quality of life of the non-affluent neighbors of the expanding medical campus. It is ironic, at best, that the editorial makes the workers who utilize the adjacent residential streets appear as the culprits. It is true that the Civil Service Employees Association (CSEA) sought to protect its members’ interests by opposing a parking permit system for Fruit Belt residents, calling the proposal a “shortsighted approach.” But the very institutions listed in the opinion piece as “in agreement” with a parking permit solution – “the corporation developing the Medical Campus and its two biggest employees, Kaleida Health and Roswell Park Cancer Institute” – are the very entities which allowed this hardship to materialize. 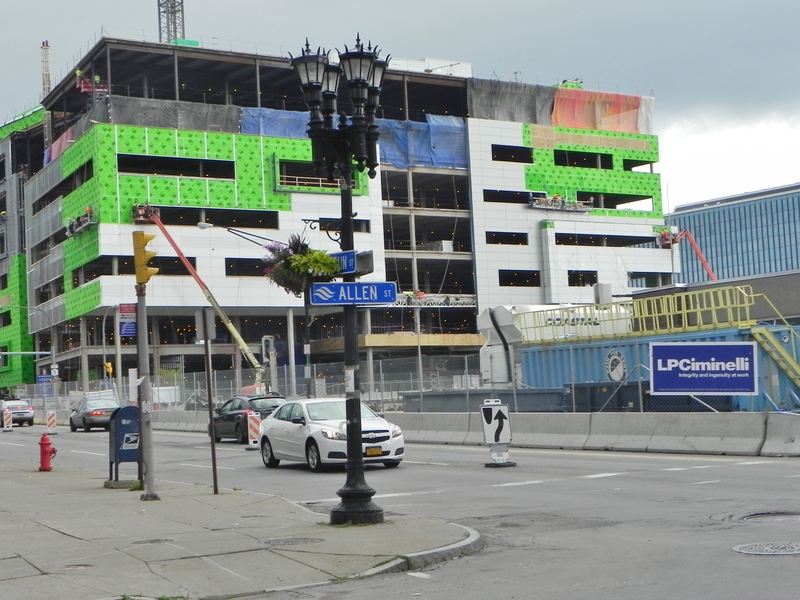 This troubling fact is made even more painful for Fruit Belt residents when one realizes that the City of Buffalo’s Mayor and Common Council President sit as members of the Buffalo Niagara Medical Campus board of directors. 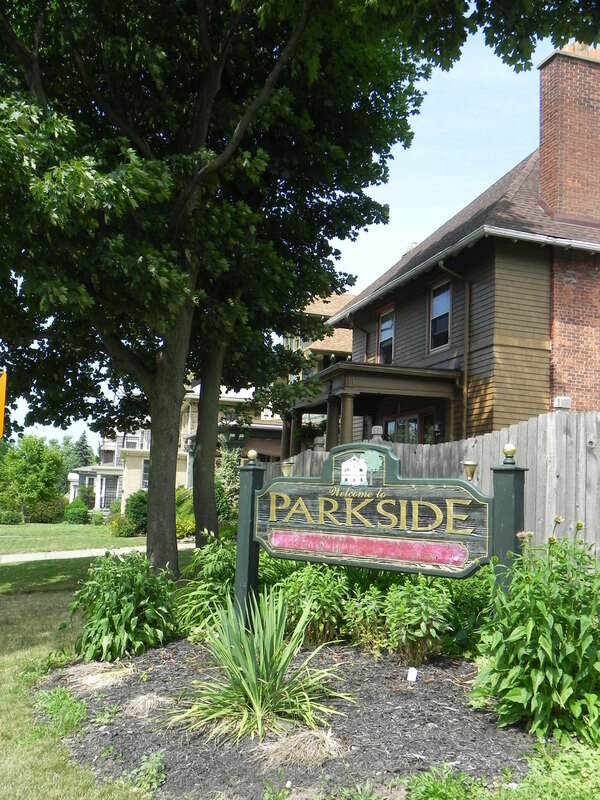 Today’s editorial suggests that the peaceful “park-in” demonstration – where local residents “claimed on-street parking spaces that have been routinely taken by Medical Campus employees” – “must have felt good” for the residents and their supporters. 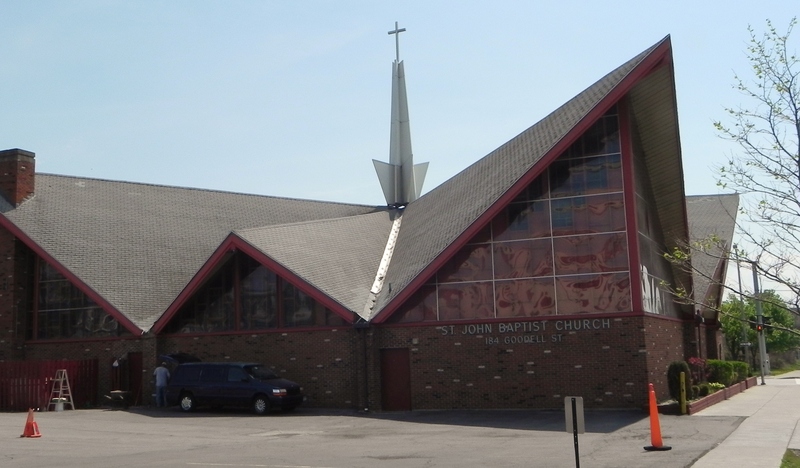 Most likely, the opinion piece by the Buffalo News editorial staff also made its authors feel good – taking a righteous stand on behalf of the afflicted. But the editorial will ring as a hollow and meaningless gesture if our region’s primary news publication does not retract its July 2014 proclamation – that squeezing people without means out of their homes is both “wholly desirable” and “inevitable” – and demand that local and state political leaders, and the institutions comprising the BNMC, take immediate and effective steps to comply with the laws intended to protect local residents and businesses. 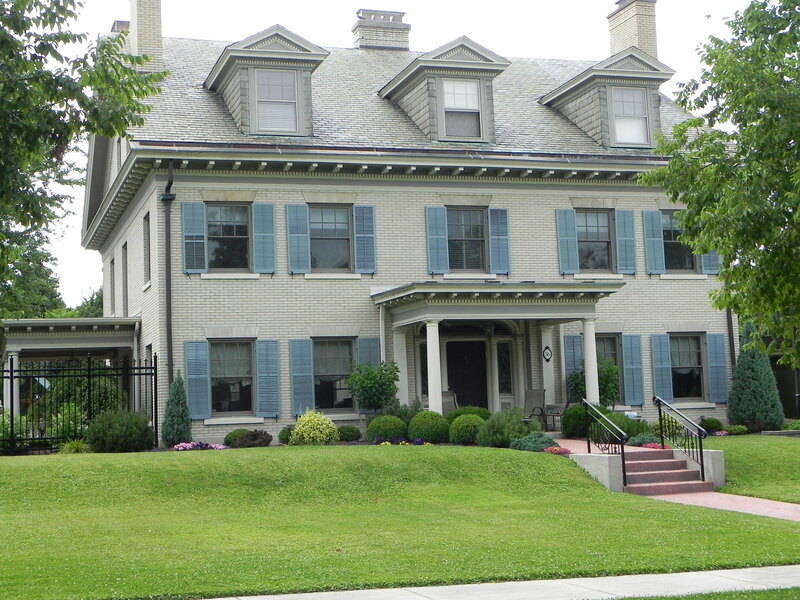 Mayor Byron W. Brown’s Office of Strategic Planning [OSP] is now putting the finishing touches on an updated version of the “Buffalo Green Code” – a document the Mayor has humbly described as “a historic revision” of Buffalo’s land use and zoning policies. 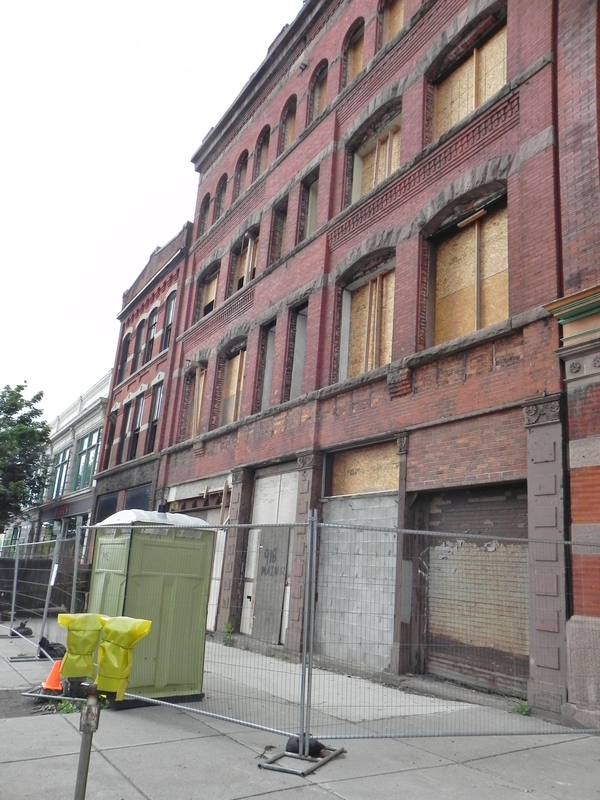 It is the intention of Mr. Brown’s “Green Code Team” to present the finished product to the nine-member Common Council – the body empowered by the State of New York to approve, modify or deny the proposed zoning and land use law – in the very near future. 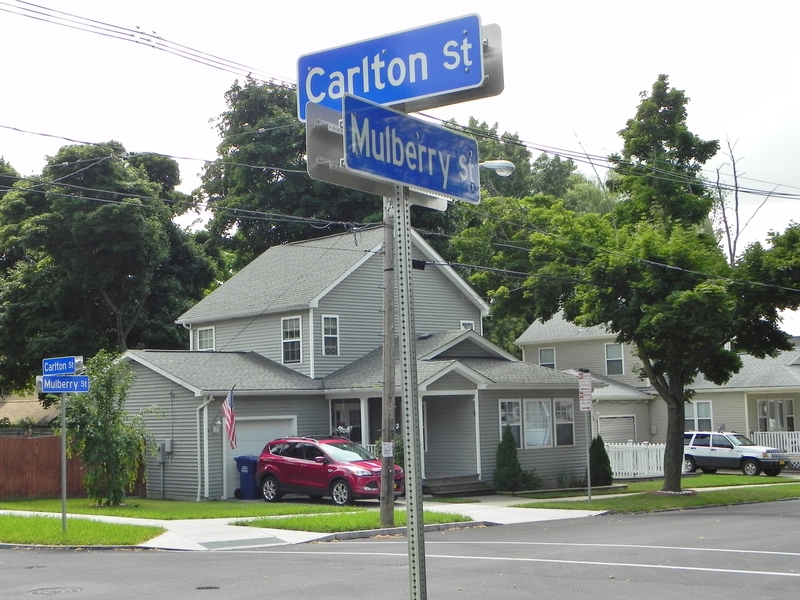 Despite the many information meetings and workshops held by the Green Code Team, the typical Buffalonian – and, perhaps, Common Council member – is still not in a position to readily determine how the proposed zoning code would impact their homes and neighborhoods. The Green Code Team has participated in many “outreach” activities since the May 2014 draft of the Green Code was made public. Despite that fact, the general public has found it extremely difficult to accurately assess how the Green Code will affect what is most valuable to them – their homes and neighborhoods. 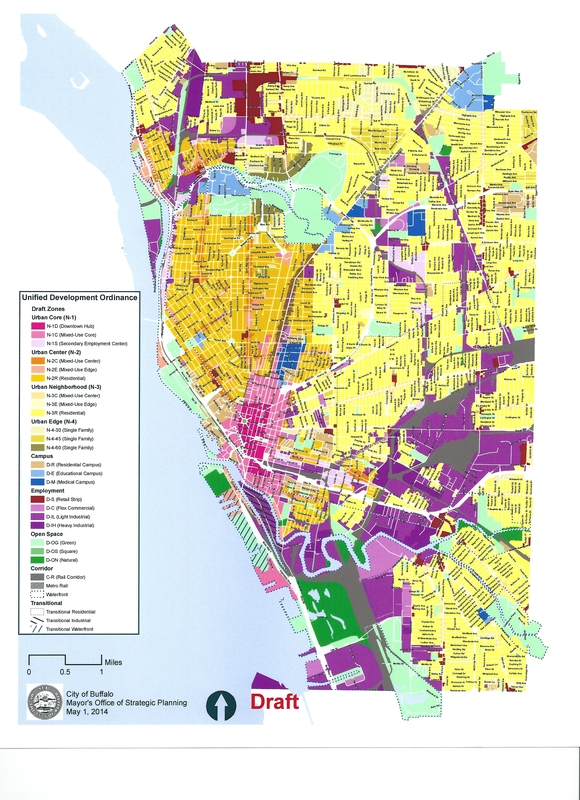 Participants at the outreach events have been shown lengthy PowerPoint presentations, but they have not been provided easy access to what the vast majority of residents are most interested in and can best assess: a proposed land use map clearly showing what zoning district their block and neighborhood is in, and a table of uses to allow them to easily see what activities would be permitted near their homes. Without this basic information, residents of the City of Buffalo have been deprived of a meaningful picture of the proposed Green Code. 2. 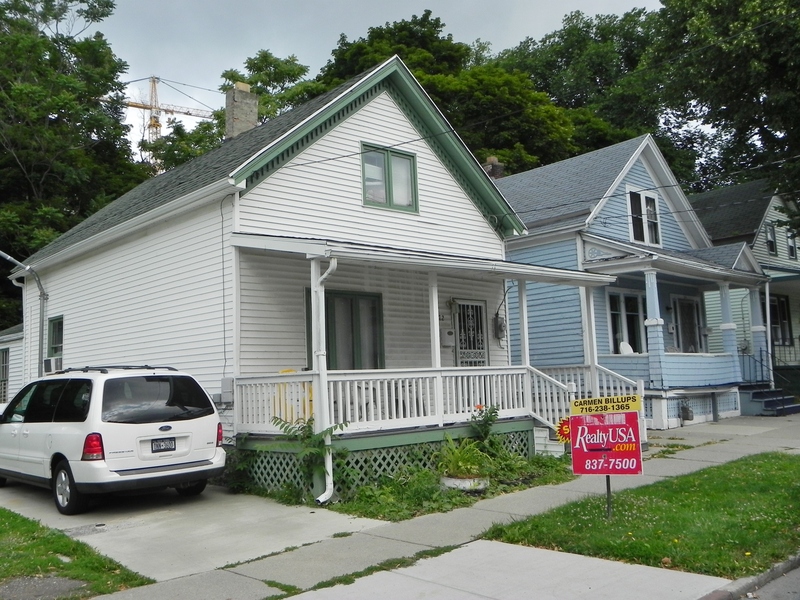 The draft Green Code would bring more uncertainty – not less – to Buffalo’s residential neighborhoods. And the following uses would be allowed “by right” (that is, with no approval needed) on any lot: a group home for unrelated persons with disabilities (including those who have undergone treatment for alcohol or drug addiction); a bed-and-breakfast, with up to 10 guests; a “day care home” servicing up to six children or six elderly; “public safety facilities”; and, a “market garden” open to the general public. 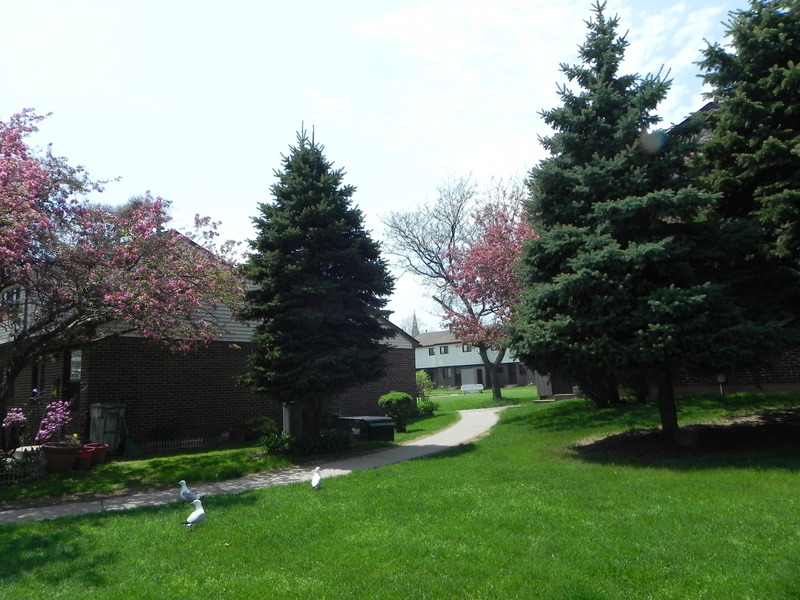 Additionally, fraternity and sorority houses, including recreational facilities for college students, would be allowed on any lot with a special use permit. 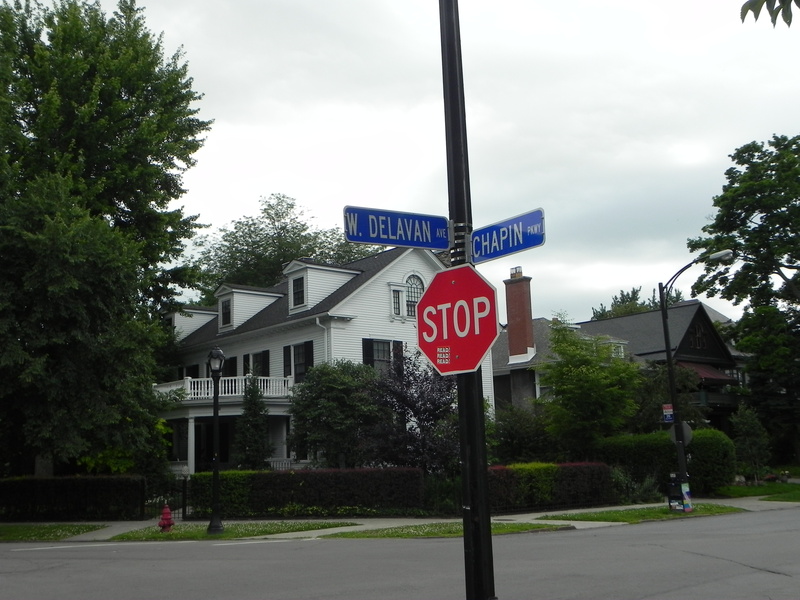 When compared to the vast majority of Buffalonians, the fortunate few who reside in the mansions on Lincoln Parkway, Rumsey Road, or Chapin Parkway, the gracious homes on McKinley Parkway, Coolidge Road, Depew, Morris or Cleveland avenues, or on a few dozen other popular streets (such as Argyle Park, Tillinghast Place or Admiral Road), would come away relatively unscathed if the draft Green Code were adopted by the Common Council. 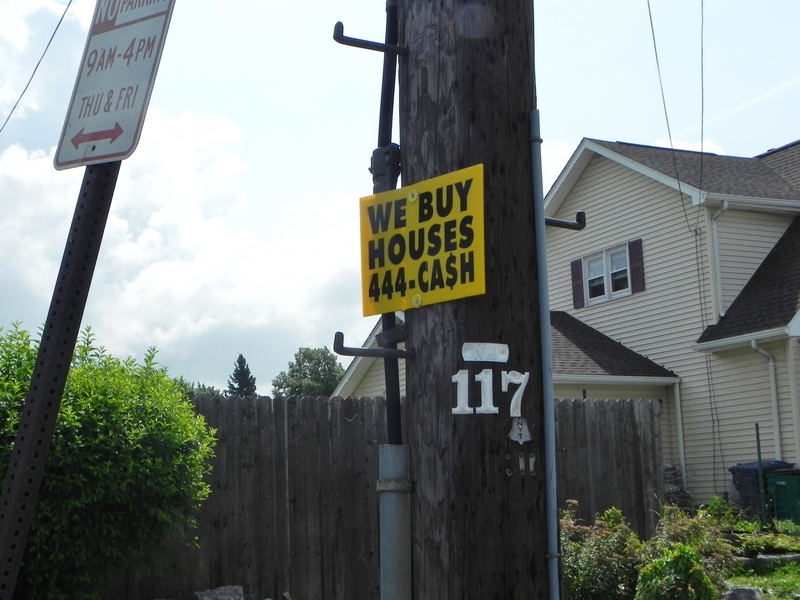 But even the residents of Buffalo’s most prized streets have reasons to be concerned. 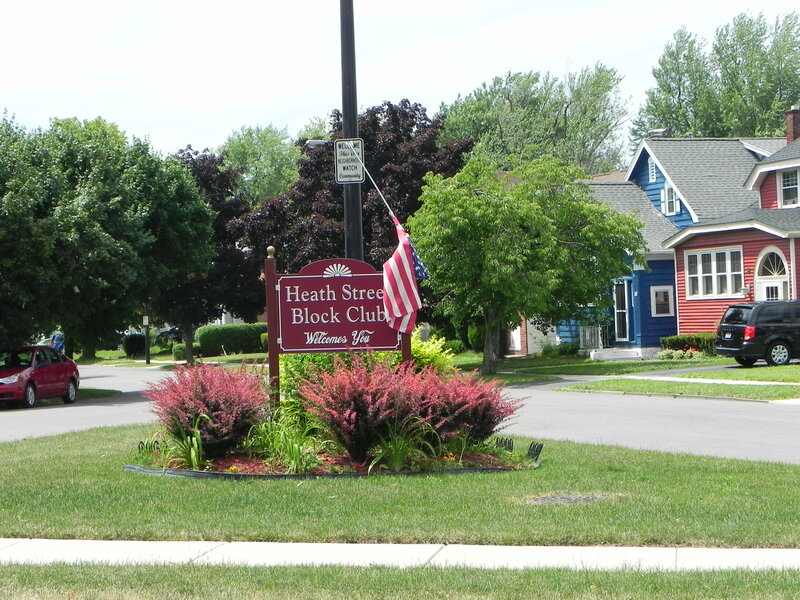 The May 2014 draft Green Code allows, “by right”, the following activities in the “N-4” zones encompassing Buffalo’s most exclusive streets: group homes, day care homes, community gardens and market gardens, and public safety facilities (including emergency medical services substations, border control and military facilities, and interim incarceration facilities). Additionally, the “N-4” zones include bed & breakfast establishments, community centers, and wireless communications towers and facilities as special use permit activities. 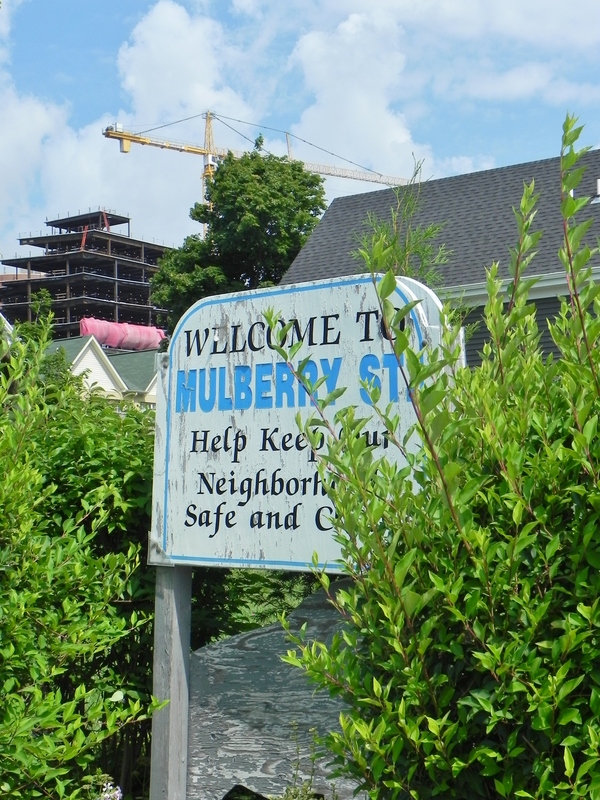 The “Special Use Permit” provides much less protection to nearby residents and property owners than zoning amendments and variances. As currently proposed, the “Principal Uses” table in the draft Green Code depicts the “Special Use” symbol more than two hundred forty (240) times. It also includes the “Special Use, Corner Only” symbol thirty-two (32) times. 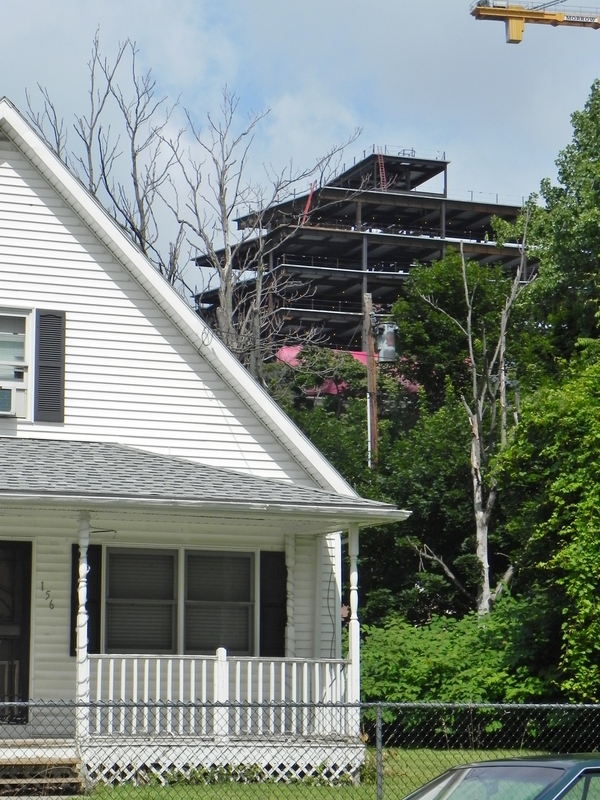 Not only would this widespread use of the special use permit create uncertainties for nearby property owners and residents, it provides little protection and a false sense of security. 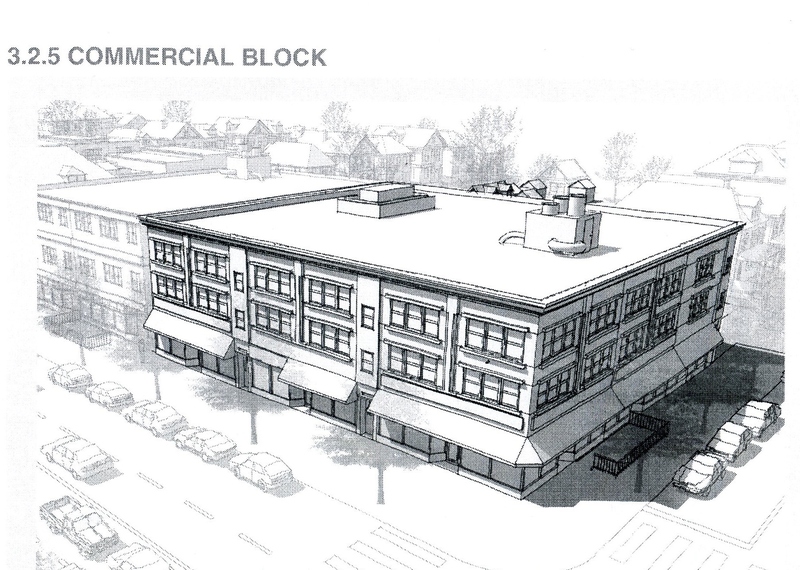 The current draft of the Green Code envisions a process where a property owner or someone authorized by a property owner (for example, a prospective business owner) applies for a special use permit, the City Planning Board reviews the application and recommends to the Common Council whether the request should be approved or disapproved, and then the Common Council, following a public hearing, approves, approves with modifications, or disapproves the special use permit. Correspondence sent by the Green Code Team to the Common Council in July, outlining the comments City Hall has received about the draft Green Code, mentions that questions have been raised on whether the Common Council, the Planning Board, or the Zoning Board of Appeals [ZBA] should have the authority to approve or deny special use permits. Various commentators trust one body more than another (or, to be frank, distrust one body less than another). 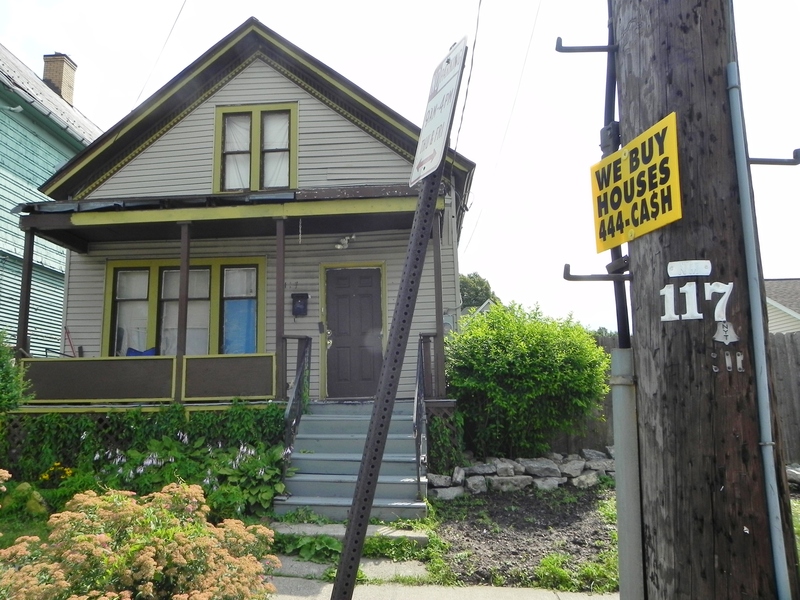 But the issue the Common Council – and the public – needs to consider is more basic: Should the City of Buffalo be making such extensive use of the Special Use Permit process when it provides so little actual protection for nearby property owners and residents? 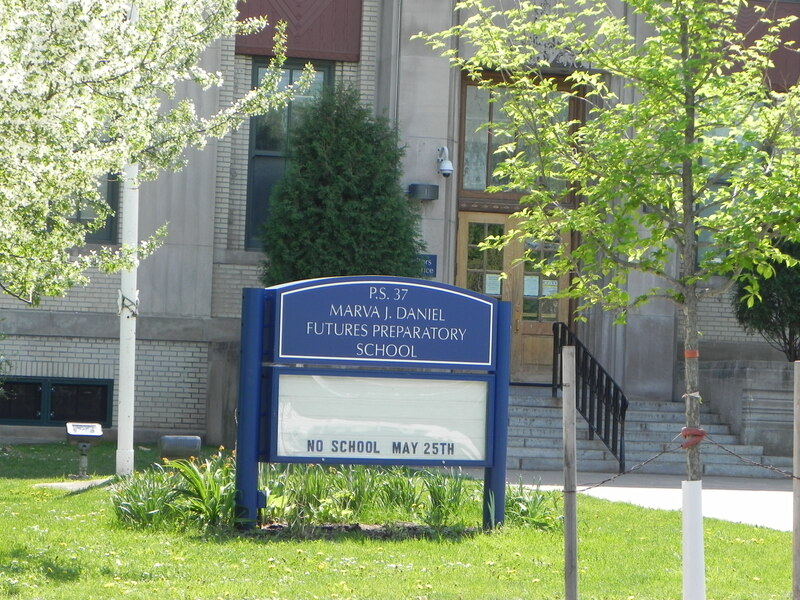 New York’s courts have long held that when a legislative body – such as the Common Council – includes a use in a zoning law as an allowed activity if a special use permit is granted, it is making a finding that the use is in harmony with a community’s general zoning plan and will not adversely affect the neighborhood. This explains why developers and the business community generally support the widespread utilization of the special use permit process. 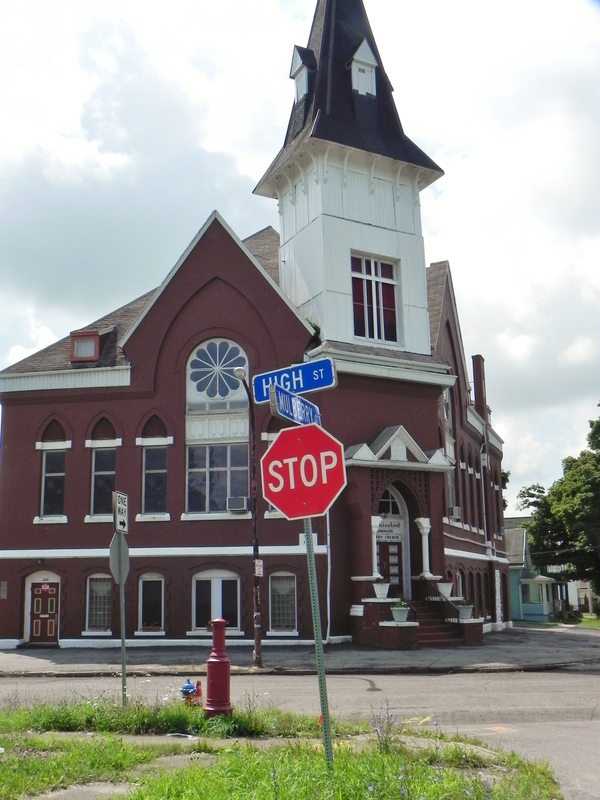 An applicant possesses a much greater chance of obtaining a special use permit than it does a zoning amendment from the Common Council, or a variance from the ZBA. 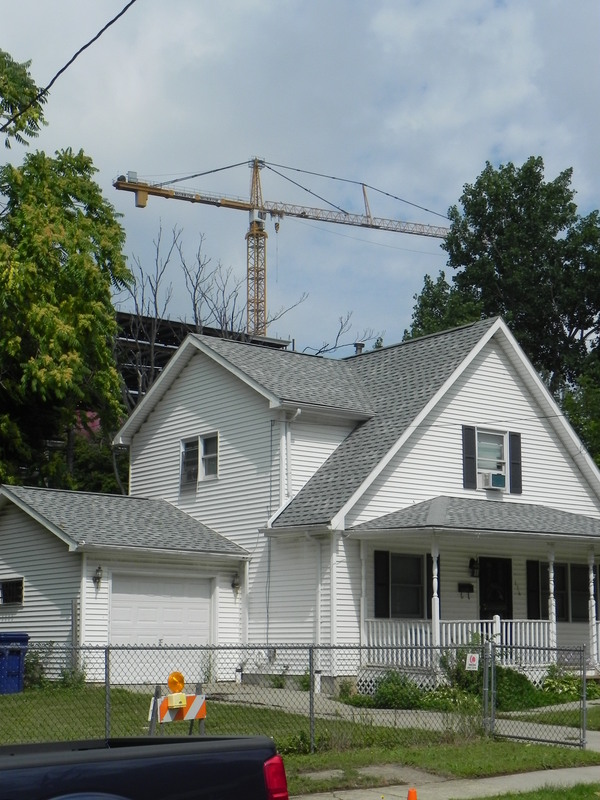 Special use permits are the easiest type of zoning approvals to obtain, and the hardest approval for an aggrieved neighbor to overturn in court. Hand-in-hand with the “form-based” approach taken by the Mayor’s Office of Strategic Planning is an effort to equate the physical look of a neighborhood or street with its “character.” While the “form” of buildings – especially their size and proximity to neighboring parcels – affects the character of a neighborhood or community, it is the type of activities which occur within and around that structure that has the greatest impact on nearby properties and uses – especially nearby residences. 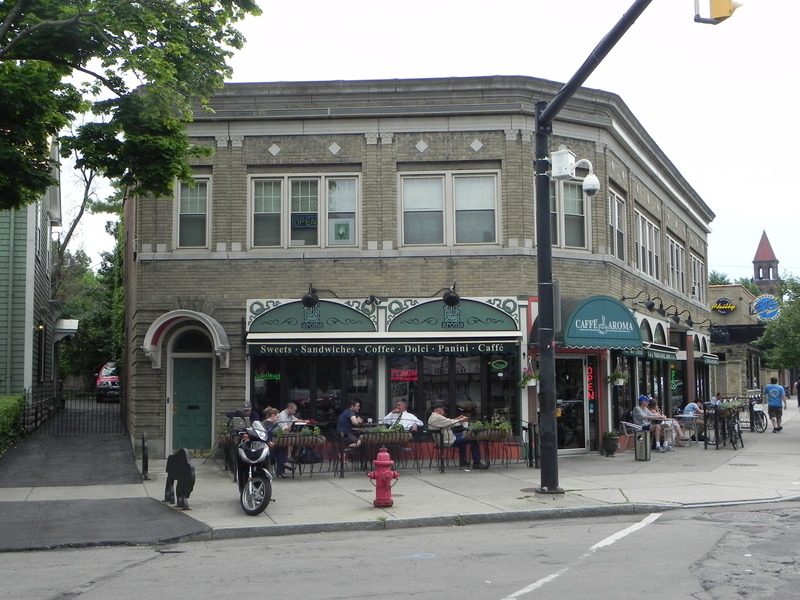 A Commercial Block building – a structure of two or more stories designed to facilitate pedestrian-oriented retail or office uses on the ground floor, with upper floors typically designed for residential, hospitality, or employment uses. 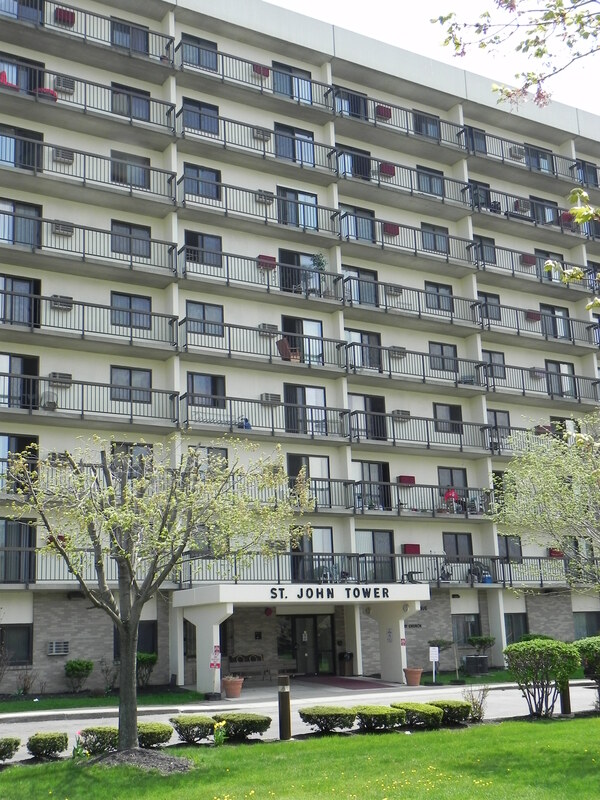 A Stacked Units building – a structure of two or more stories that facilitate multiple units connected with one or more shared entries, and are typically designed for residential, hospitality or office uses. 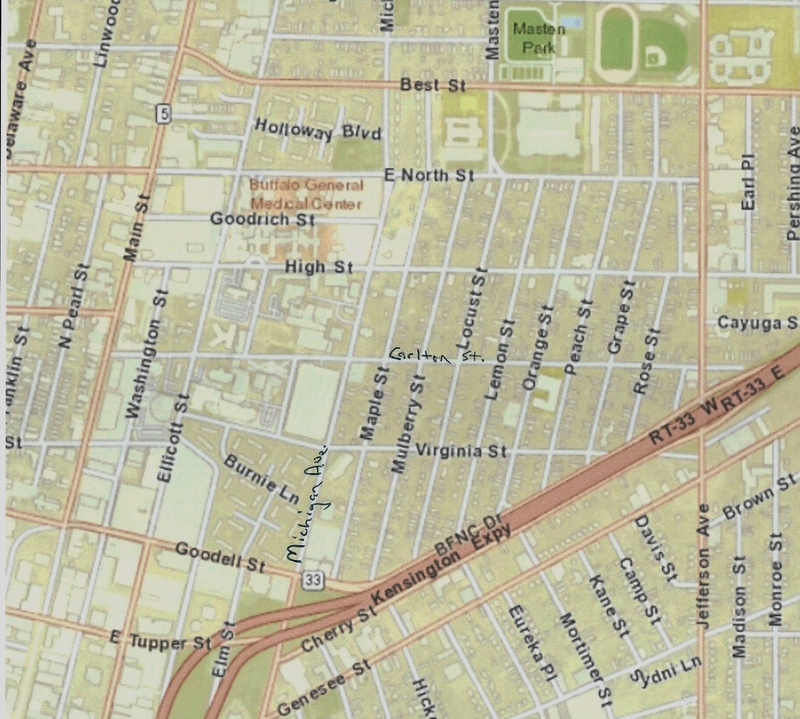 The May 2014 version of the Green Code would allow a 4-story “Commercial Block” structure on corner lots in “N-2R” districts (which include much of the West Side and also the Fruit Belt neighborhood), and 3-story “Commercial Block” buildings on corner lots in “N-3R” districts (which include much of the East Side, South Buffalo, and significant portions of North Buffalo and the University district). 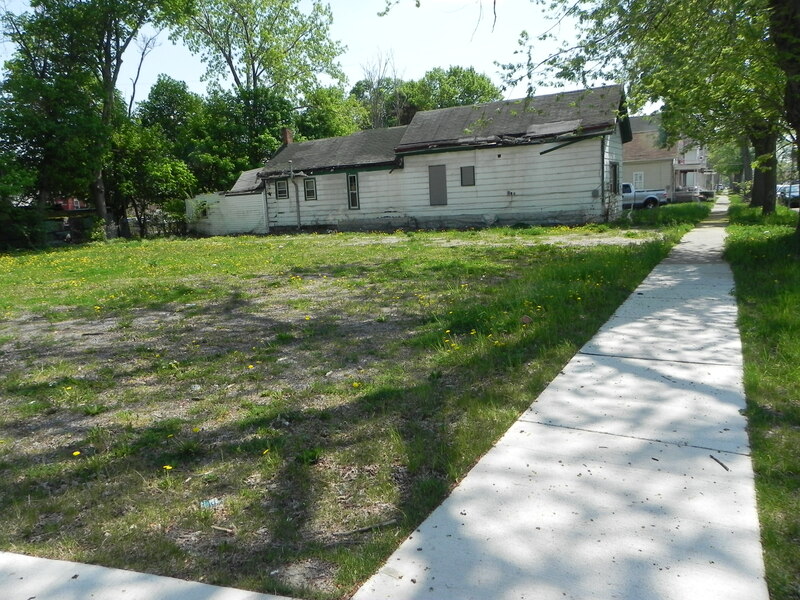 In either N-2R or N-3R zones, a Commercial Block” building would be allowed to cover 100% of the lot, that is, there would be no yards and no setbacks from neighboring homes. 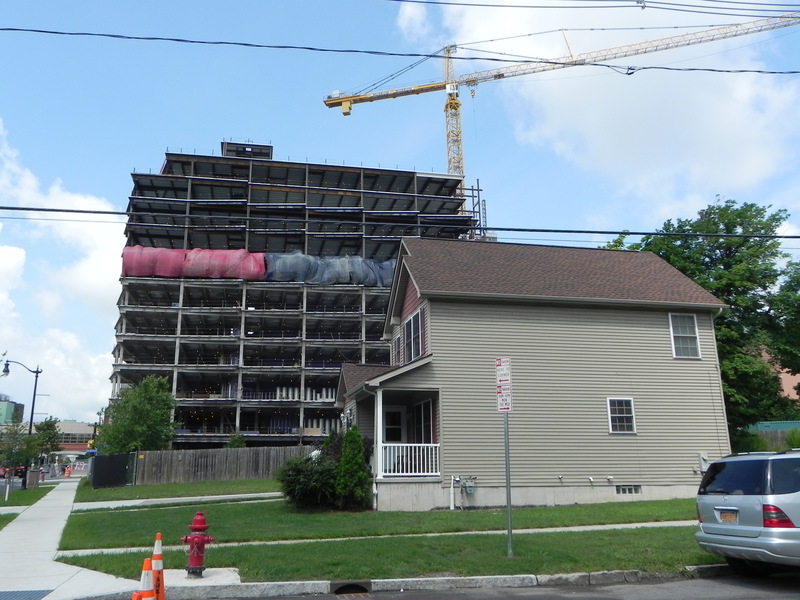 The latest draft of the Green Code would allow a 4-story “Stacked Units” building on any lot in “N-2R” districts, and 3-story ”Stacked Units” structure on any lot in “N-3R” districts. 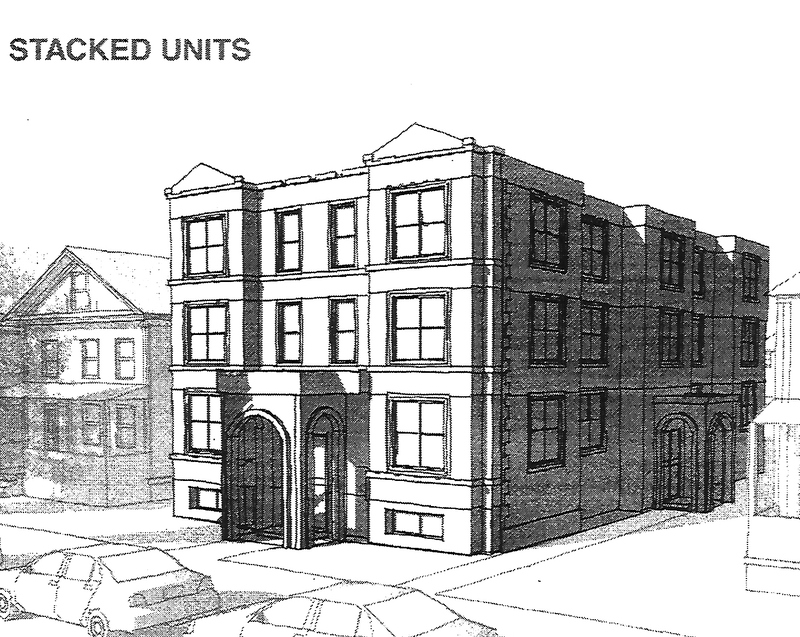 A “Stacked Units” building would be allowed to cover up to 90% of the lot, and can be as close as three feet from the principal building (including a residence) on an abutting lot. 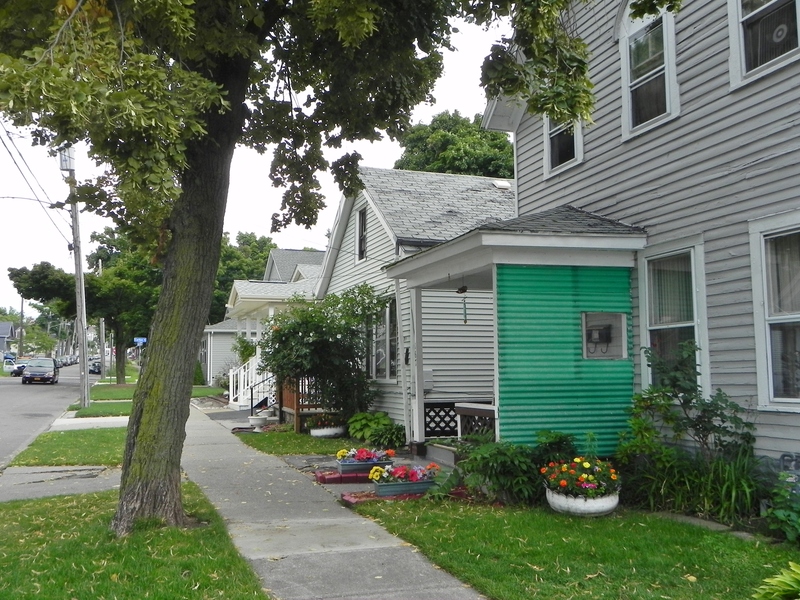 Given the potential scale and extensive lot coverage of Commercial Block and Stacked Units buildings, the proposed Green Code provides woefully inadequate safeguards to protect the privacy and quality of life of nearby residents. 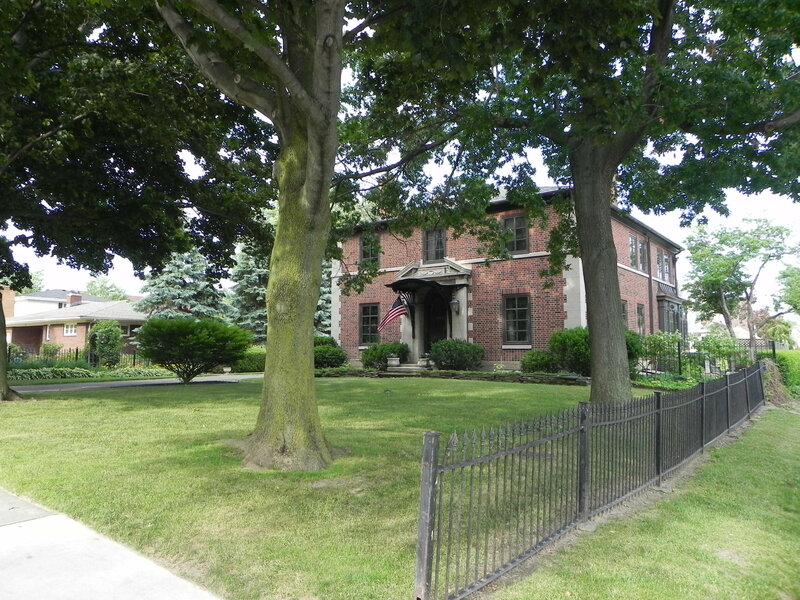 The Mayor’s Green Code Team has broken its promise to the residents of the Elmwood Village to preserve the character of neighborhoods and encourage development consistent with prevailing patterns. 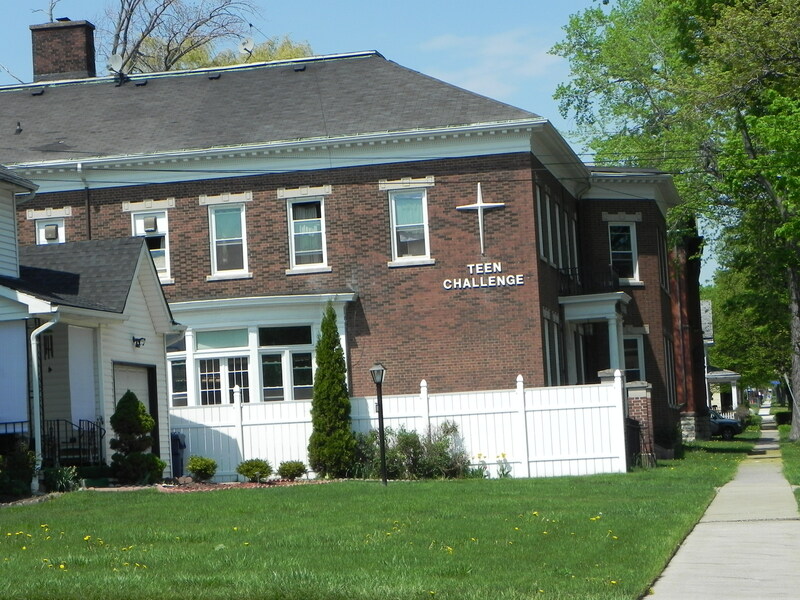 The proposed new zoning code would eliminate the very features of the current zoning ordinance that have reinforced and preserved the historic fabric of the Elmwood Village and nurtured the balance between residential and non-residential uses – the EB District’s limits on the intensity and scale of commercial uses on Elmwood Avenue. 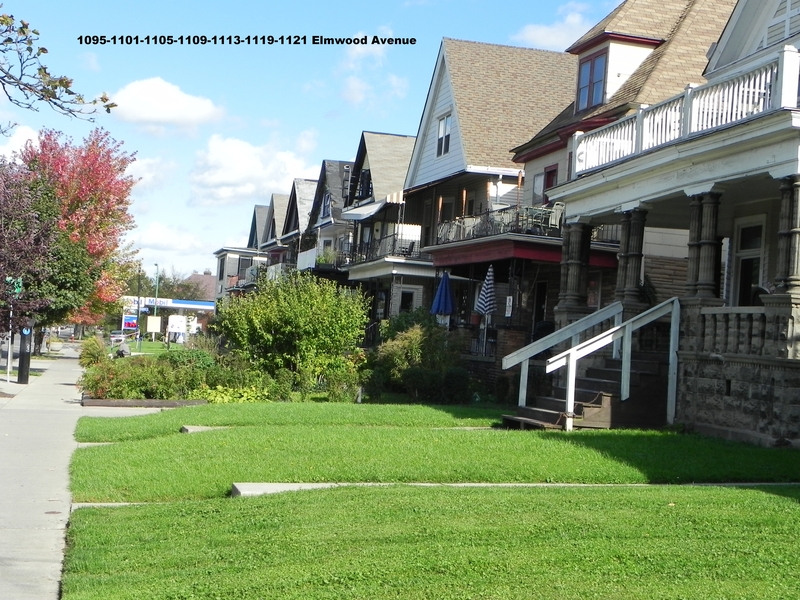 By allowing “Commercial Block” buildings up to 5-stories in height, on lots as wide as 225 feet, the draft Green Code would encourage speculators to purchase rows of century-old residential structures – the essence of the Elmwood Village’s character – demolish them, and replace them with out-of-scale commercial buildings that could exceed 150,000 square feet in total area, generating more traffic and overwhelming the adjacent residential neighborhood. 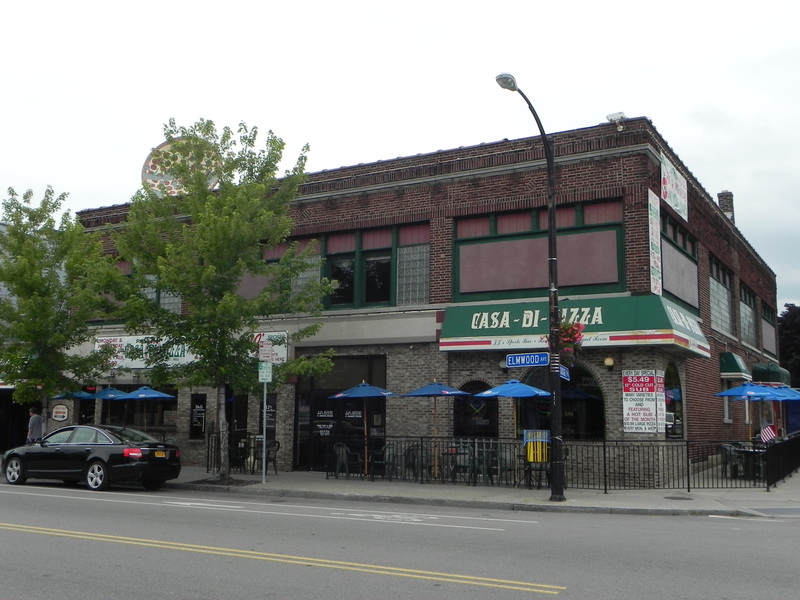 Note: To place a 5-story, 150,000-square-foot building into context, Casa-Di-Pizza occupies a two-story building on a 64-foot wide lot, and has a total gross floor area of under 11,500 square feet. 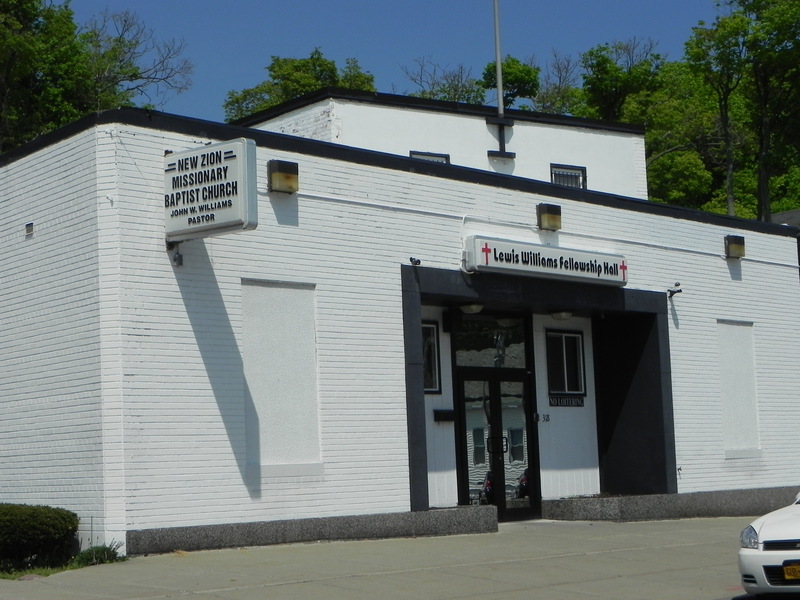 The two-story iconic building that Café Aroma shares with Talking Leaves book store at the southeast corner of Elmwood and Bidwell Parkway has 7,500 sq. ft. of floor area. 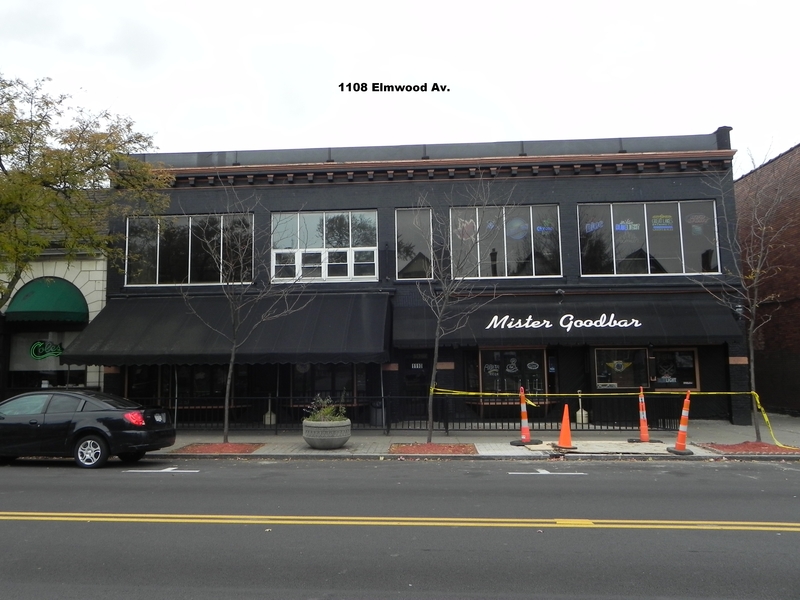 And, Mr. Goodbar’s night spot occupies a 2-story building with a total of 6,930 sq. ft. 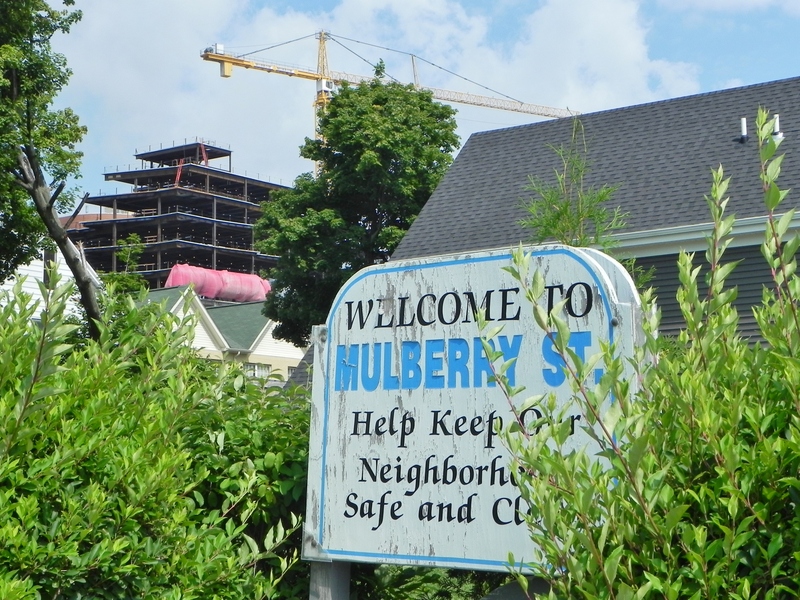 Although the draft Green Code classifies the McCarley Gardens development as a “Residential Campus,” it does nothing to protect the current residents from being pushed out of their homes in order to make way for new and profitable development. 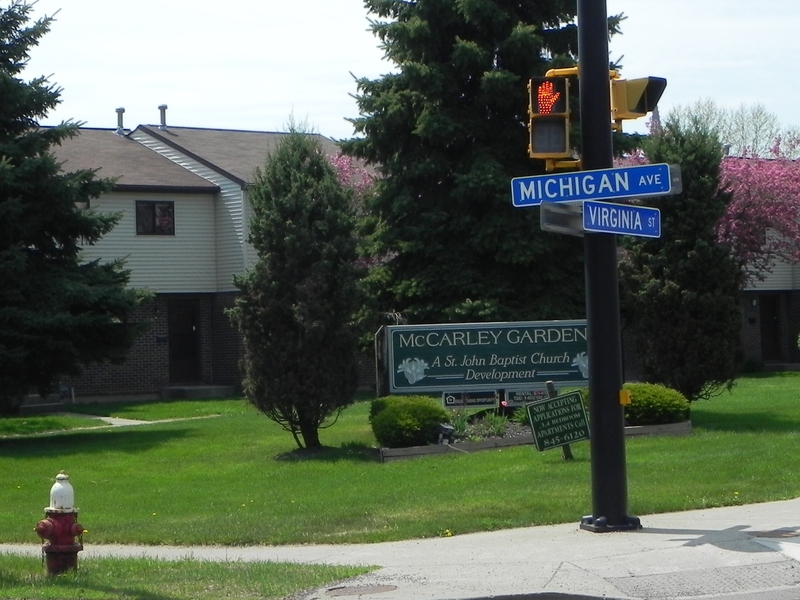 To the contrary, by virtue of the types of uses that would allow on a so-called “Residential Campus,” it provides a major incentive for developers to eliminate McCarley Gardens and replace it with an up-scale project that could include medical clinics, professional offices, hotels, restaurants, taverns, outdoor dining, retail and service businesses, and residential care facilities. 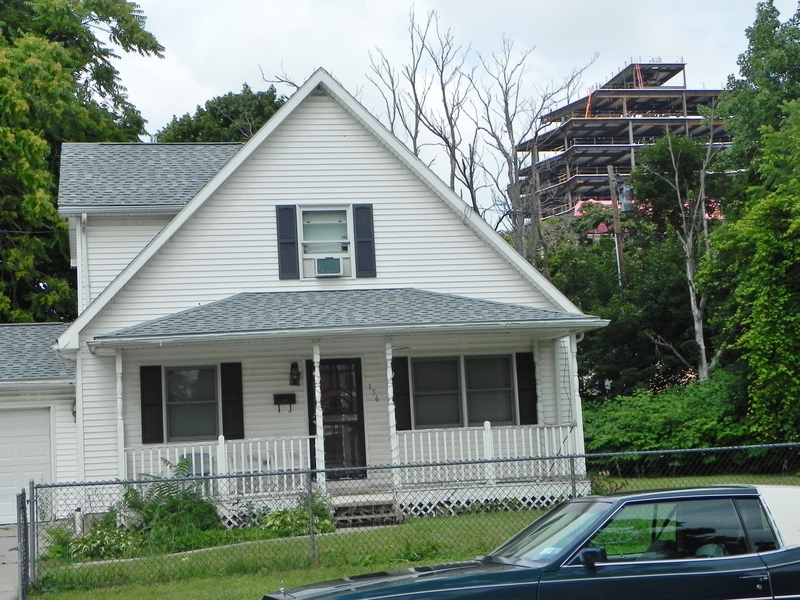 Additionally, the draft Green Code’s lengthy list of non-residential uses and sizeable buildings permitted alongside the medical campus and on the predominately residential streets of the Fruit Belt neighborhood will fuel the speculative purchase of properties and gentrification – the displacement of the current homeowners and tenants. 10. The proposed elimination of all minimum parking requirements is unfair to existing businesses and nearby residential neighborhoods. 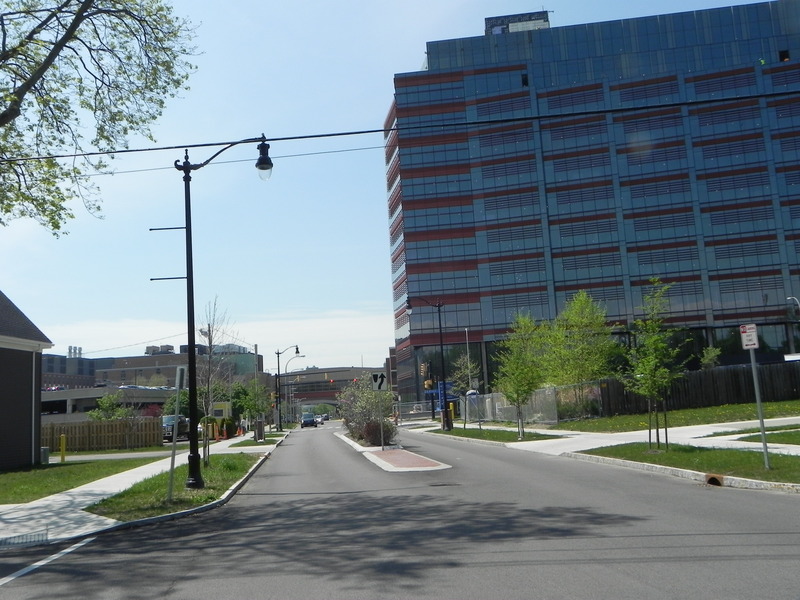 The Green Code Team has chosen to eliminate all minimum off-street parking requirements. 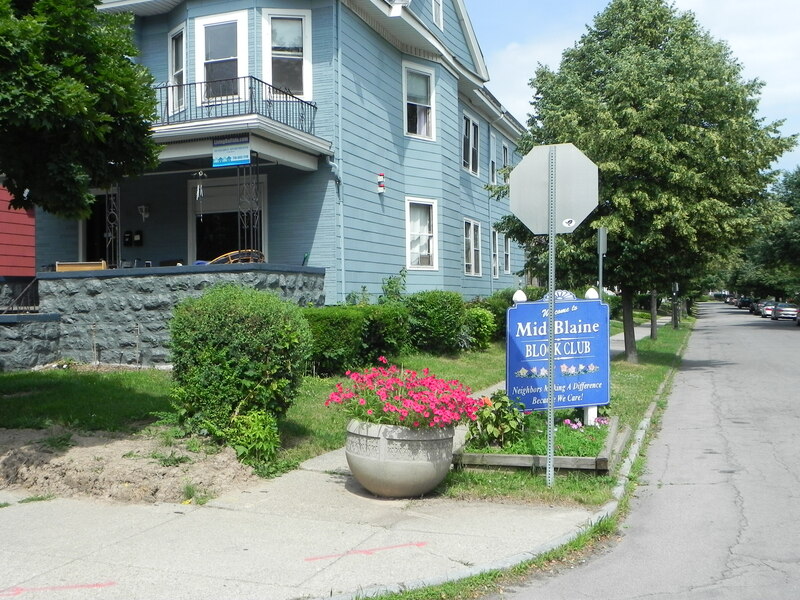 The Mayor’s OSP staff calls this a “market based approach,” based on the fiction that developers wishing to construct a new building, or expand an existing one, will always make certain that their tenants and customers have adequate parking facilities. In the real world, however, developers are often tempted to skimp on off-street parking if given the opportunity, preferring to construct larger buildings that will provide additional revenue. When that happens, tenants and customers are compelled to park on the street. In areas where parking is already at a premium, existing businesses suffer when their lots are used by someone else’s customers, or their own customers can no longer find on-street spaces nearby. Worse of all, the excess parking spills over to neighboring residential streets, bringing with it noise, loss of privacy, and inconvenience. I would gladly continue this discussion with Common Council members, their staff, or the Green Code Team. 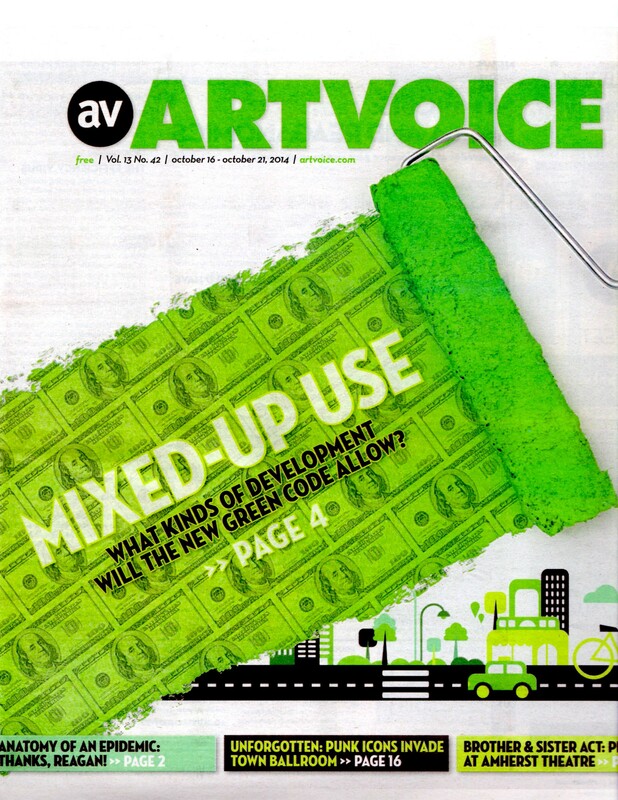 A version of this post appears in print as the cover story in the October 16, 2014 weekly edition of ArtVoice, and at http://artvoice.com/issues/v13n42/green_code.